Driver recruiting programs (50% of drivers on the road are over 50 Years old). Training for all drivers year-round. Knowledgeable mechanics using the most current equipment. New Equipment and/or Retrofitted EPA approved equipment. Someone must oversee the registration of all your vehicles with the specific government agencies (BIT, CARB, DOT). Partnering up with a company like Doss Dedicated, that is professional, knowledgeable and proficient, is by far, best way to hedge against these risks and reduce the costs associated. Update all your CARB registering. Plan the most effective way to manage CARB compliance. Maintain trucks and (Trailers if needed). Spec the most efficient vehicles for your application. 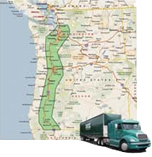 Limit your down time and critical hiring issues because of our large pool of drivers. Full Operational Leases with trucks and drivers to eliminate headaches and allow you to focus on your goal of distribution and sales. Copyright © 2019 Doss Dedicated | All Rights Reserved | Web Development By West County Net, Inc.